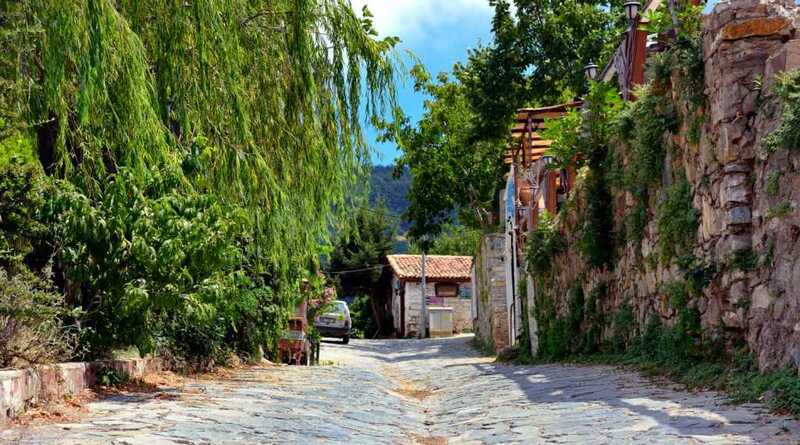 Sirince is 7 miles / 12 kms far away from Selçuk town located on the hills. 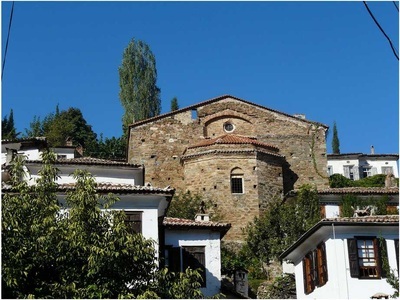 Transport is very easy and there are mini buses from Selcuk coach stations to Sirince in each hour. 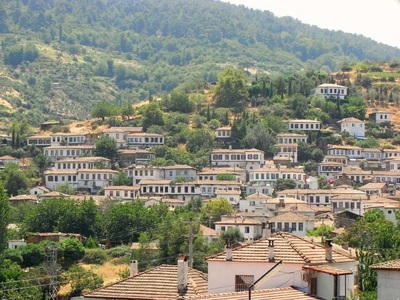 The village was founded by the descendants of Ephesians when the city fell down by the earthqakes at the end of 7th C AD. 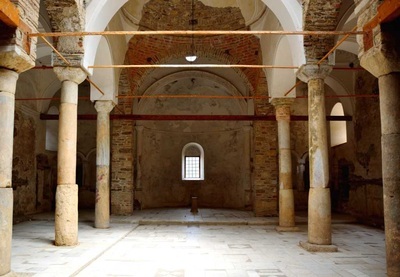 Turks came in 12 th C AD and two nations began living together. Living together made a good atmosphere and a big tolerance for two different cultures so the village became a good example in heritage. After the World War I in 1925, Greece and Turkey made an exchange agreement and poeple from two nations were forced to levae and emigrate. 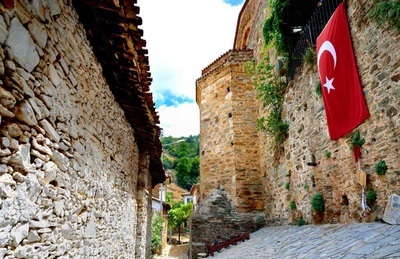 Turks living Thesseloniki came to Sirince village and the Greeks living in Sirince emigrated to Thesseloniki. In 1970s Turkish government paid a great attention to the village and it was declared as the heritage place so preservation began. The inhabitants were supported to restore their old buildings by government so it became one of the well-known heritage center in a short time. Sirince has been noted for as the best example of preservation and in heritage sector. 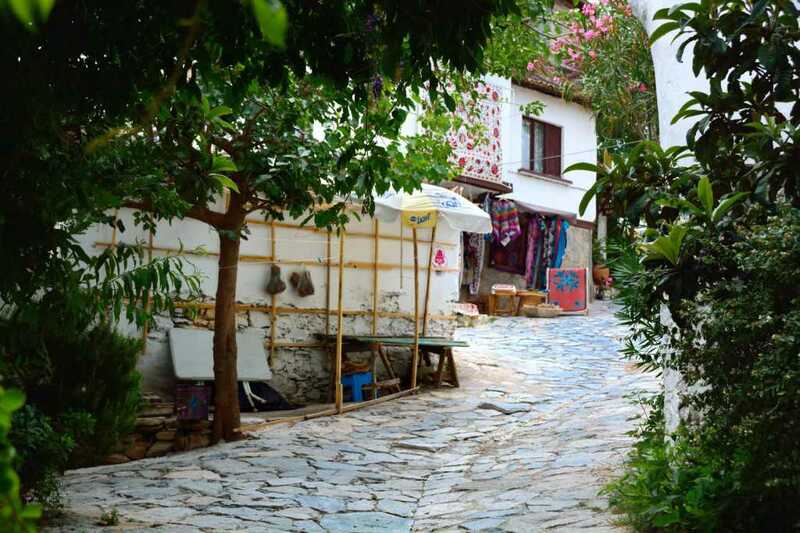 The village of Sirince is noted for throughout the Aegean region for its homemade products due to her skillful ladies. Ladies living in Sirince village are able to produce home made pastries, wine, embriodiries such as laces and socks in wool, dried fruits, napkins, night lamps from dried pumpkins, silverware, olive oil, sultana raisins ,herbs and so on during winter time when the tourism season is over. When summer comes , they try to sell all the home made products they produced to the visitors coming to the village from all over the world. By this way, they make a great contribution not only for their home budget, but also for Turkish economy as well. All the diried fruits and herbs are organic. In recent years, it has become a strong habit to have brunch especially at the weekends starting at 10.00 in this village because of good atmosphere, lovely weather, splendid scenery, good service with smiling faaces and organic food. Families with the childern living in İzmir and Kusadasi perefer to come here and have brunch on Saturdays and Sundays. They say that pending some hours in this village make them fresh, relax and happy. If you would like to visit Sirince at the weekends, never forget to book your table before yo come.